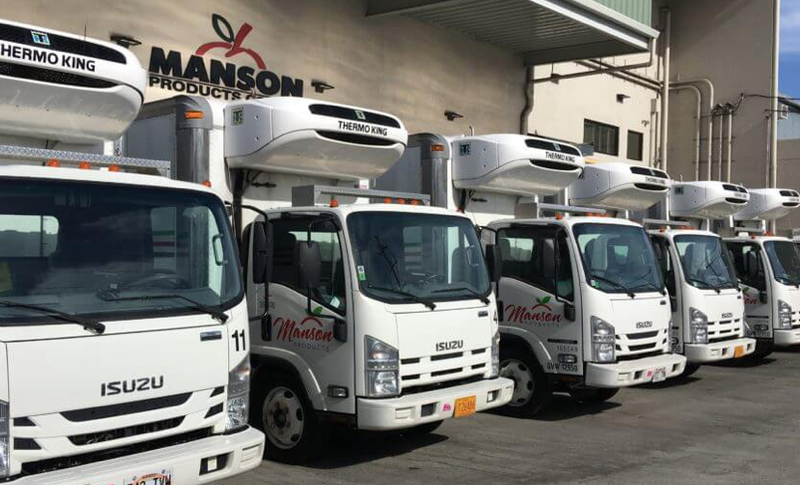 Manson Products Co., Inc. started in the early 1980’s as a small wholesale produce distributor with a mission to deliver the freshest quality produce in Hawaii. Today, 30+ years later we have state wide distribution with over 400 customers ranging from independent restaurants to National Chains, Hotels, Hospitals, Schools and Institutions. We are very proud to service all of our military personnel stationed in Hawaii. We are the Prime Vendor of Fresh Fruits and Vegetables for all US flagged Ships and Submarines that come into Hawaii as well as all the military Dining Facilities, Mini Marts, Hotels, and Hospitals on all Bases.